Our beautiful and free nation is in a sorry state. It’s become more and more clear over the years that the average American’s understanding of the world has declined. This is truer than ever now that a study has revealed that three in five Americans can’t even draw big crosshairs on a map of the Middle East. When presented with an ordinary map of the Middle East and a thick red pen, just over 60 percent of Americans asked couldn’t draw a big crosshairs on it. Many respondents only drew crosshairs over Iran and Iraq, crucially leaving out Syria, Pakistan, and the others that have it coming to them. Perhaps most appalling, however, is that four in five respondents didn’t even draw a single skull and crossbones anywhere on the map. This is basic stuff. How could so many people be so ignorant? It all starts with how much the education system is failing our children. There are almost no teachers in this country taking the time to point out which Middle Eastern countries deserve to be blown to kingdom come, and how of course we’ll make sure Israel isn’t harmed when we finally do what we should have done a long time ago. 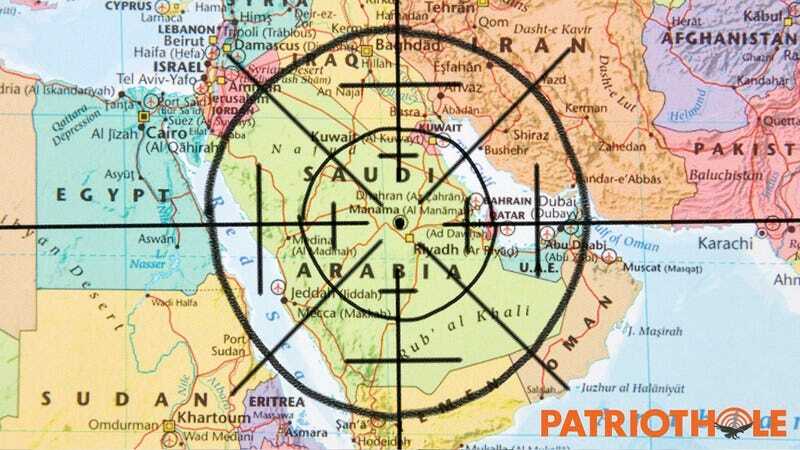 The sad fact is that textbooks across this country feature maps of the Middle East without bright red crosshairs and the caption “Let God sort ’em out” anywhere to be found. Clearly this is yet another blow from the left wing’s agenda to soften our society. The United States of America is doomed if so few Americans can do a simple thing like draw crosshairs on the Middle East. This country deserves better.